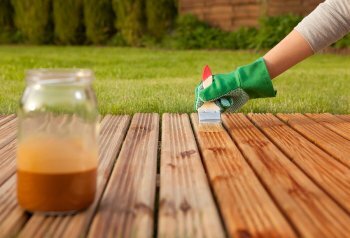 If your home contains an outdoor deck, you may want to consider preserving this surface with deck waterproofing services. During a deck waterproofing service, a team of experienced technicians will apply a waterproof coating to every surface of your deck. There are many advantages to applying an epoxy coating to your deck. By waterproofing your deck, you can help to prevent damage caused by wind, rain, and other elements. In addition, a waterproof deck coating can help reduce your need to perform costly deck repairs in the future. Finally, you can customize your epoxy coating to enhance the beauty and appeal of your deck. A company offering epoxy floor coating near Irvine can help you choose the best waterproofing product for every outdoor space around your home. By installing a deck coating, you will help to ensure that your home retains its beauty and character, across the years and seasons. When you are installing a new pool in your home, it is important to consider the materials and style of your pool deck . By creating a beautiful and functional pool deck, you will provide a welcoming space for your family and guests. Epoxy coating is a terrific choice for your pool deck surface. With epoxy coating, your deck coating will be both attractive and incredibly safe. If you are wondering about your epoxy floor coating options, it is a great idea to work with a company that offers deck coating near Orange County. To help you get started on your pool deck coating project, here is a look at some inspiration and ideas. One of the most important factors to consider when choosing a pool deck coating is functionality. The surface of your pool deck should be water resistant, and should also help minimize the dangers of slips and falls. Epoxy pool deck coating will protect the surface of your pool deck from water damage, and will also create a safe space for visitors to your pool. As you are planning your new pool deck, you may want to get creative with colors and materials. Epoxy coatings are available in a wide range of colors and styles. For example, you can match the color of your pool deck to the exterior paint of your home. With a beautifully colorful pool deck, you will enhance the visual appeal of your pool. When you are planning a pool deck coating project, do not be afraid to get creative with your design. Your pool deck coating can incorporate materials that have the look of granite, copper, or limestone. In addition, you can add a personal touch to your pool deck by stenciling a unique design on the surface of your concrete.